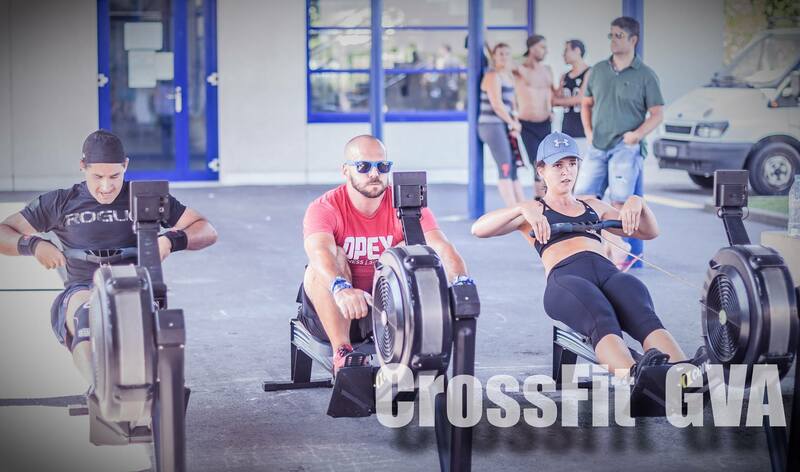 CROSSFIT GVA | 2K Row Challenge Tip 2 – Focus on your stroke rate! 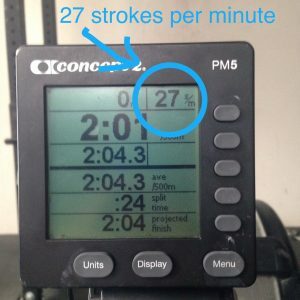 2K Row Challenge Tip 2 – Focus on your stroke rate! Home > Uncategorized > 2K Row Challenge Tip 2 – Focus on your stroke rate! 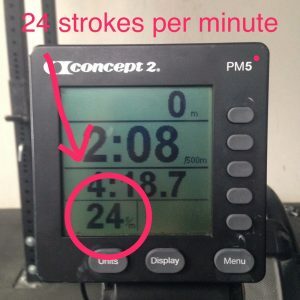 25 May 2K Row Challenge Tip 2 – Focus on your stroke rate! Stroke rate is the number of strokes you complete every minute. The bigger the number, the faster you are going and the higher your heart rate. For a 2K test, you want to try and keep your heart rate steady so you have enough fuel in the tank right to the end. You can find the stroke rate either in the bottom left side of the screen or the top right side – it is marked as SPM. The speed on the slide will determine your stroke rate. When you are pulling that’s when you want power. When you are coming back up the slide towards the wheel, that’s when you want to recover and go slower. This is the trick my friends to conquering the 2K. So what is the ideal stroke rate? This is going to vary for everyone but the rule of thumb is to keep it under 30 SPM for the 2K. Do not start out sprinting! For your first 1000m keep it around 25 – 27 SPM. When you reach 1500m then start inching it up. Move to 28 SPM, then 29 SPM and finish on 30 SPM. Some of you won’t row this fast. If your cardio is not your strong point, take the pace a bit slower and aim to be consistant all the way through.